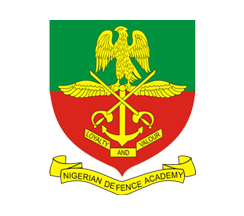 NDA 2019 Admission Application Form 71th Regular Course Form will be available for sale from 20th October 2018 – 9th February 2019 and it is open to both male and female Nigerians. Note that only candidates who participated in 2019 Jamb Examination and scored 180 and above are qualified to purchase NDA 2019 Admission Application Form. EBSU 2018/2019 Post UTME Application Form & Guidelines to Apply . 2. Minimum of 5 credit passes at SSCE (WAEC, NECO or NABTEB) or GCE ‘O’ Level obtained in not more than 2 sittings relevant to the Faculty of their choices. 3. Credit in English Language and Mathematics. 4. At least two supporting relevant credits to the compulsory credits in Faculty of Military Sciences and Interdisciplinary Studies, Faculty of Arts and Social Sciences while that of Faculty of Science is shown in the columns for compulsory and relevant credits. However, only one supporting relevant credit is required in the Faculty of Engineering. 5. Be at least 17 years old and not more than 21 years old as at the month of August in the year of entry into the Academy (2018). Note that candidates who desire to join the Nigerian Air Force must be between 17 and 18 years old at entry, and also the Nigerian Army has suspended the enlistment of female candidates in her Regular Combatant programme in NDA. 6. Must not be less than 1.68 metres tall for male and 1.58 metres for female. 7. Must be medically and physically fit and must be of good moral character. 8. Must be single male or female without legal obligation to support any child or other individuals. 9. Present a Certificate of State of Origin obtained from a Local Government Area or a Certificate of State Indigeneship from the Office of the State Governor. 10. Working knowledge of French Language will be an added advantage. 12. Candidates awaiting results are not qualified. Application forms submitted without results will not be accepted. 13. Only examination results of not more than 5 years old from the date of examination will be accepted. 14. Currently, admission into the Academy is for both male and female Nigerians only, and is limited to Navy and Air Force in the case of female candidates. portal www.ndaapplications.net select “Purchase Access Code” and fill in their details to pay for their application via REMITA after first obtaining their ORDER ID and REMITA Retrieval Reference (RRR) Code in the sum of N3,500.00 only. Please note that only payment against RRR Codes generated via the application portal would be accepted. Interested candidates are advised to go online and complete the application on the websites indicated above. Please download and read carefully, the Instructions provided on the website. Applicants applying for admission into NDA MUST also apply to the Joint Admissions and Matriculations Board (JAMB), but may not necessarily select NDA as their choice of university. Such applicants are expected to sit for the JAMB Universal Tertiary Matriculation Examinations (UTME). The requirements for various undergraduate degree programmes are as detailed in the NDA website/applications portal. 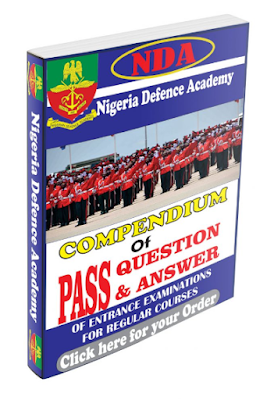 All other information concerning degree courses, eligibility and examination centres are as contained in the NDA website / applications portal. Please note that working knowledge of French Language will be an added advantage to applicants. The examination will be conducted as an Entrance Examination and it is scheduled to hold on date yet to be announced. Therefore, all eligible candidates are to bring along their Acknowledgement Form, Examination Admission Card, JAMB result slip and TWO (2) postcard sized (3.5 x 5 inches) photographs to the Examination Centre on the examination date. The photographs should show only from the chest upwards and should contain the candidate’s Name, Exam Number, State, Exam Centre, and Course of study and Signature at the back. Admitted candidates into NDA for the Regular Course will undergo military and academic training as Officer Cadets for a duration of 5 years. On successful completion of training, graduands will earn a honours degree in a core discipline (BSc, BEng, BA). They will equally earn a commission into the Armed Forces of Nigeria. Do you need NDA question paper for preparation. It is available here. For you to get it payment to the following account details. But i have decided to reduce the price. I will soon increase it. Once your payment is confirmed i will send the past questions to you. How Am I sure Am Paying For The Right Service. 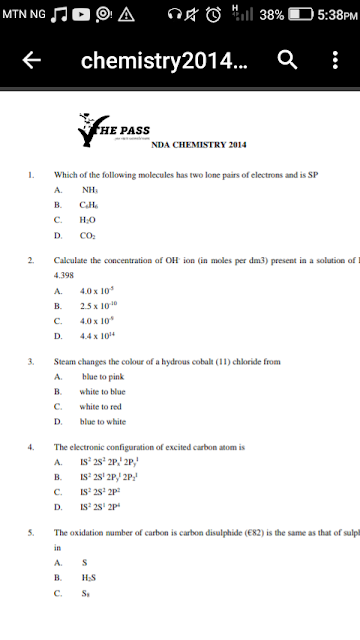 Below is a screenshot of the past question. When Will The Nda Form Be Out?